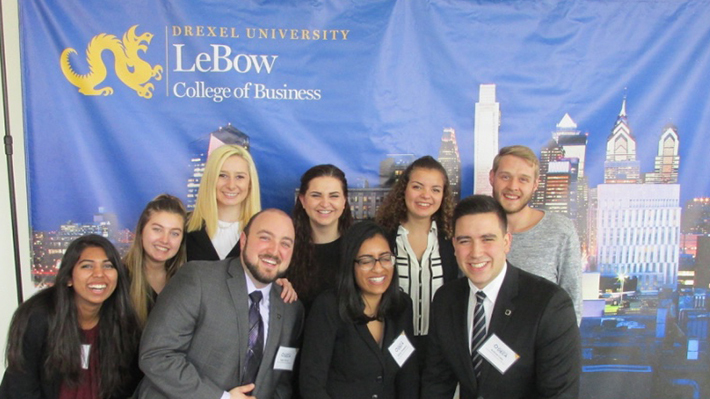 On Saturday, February 11, Drexel DECA (formerly known nationally as the Distributive Education Clubs of America) hosted their second annual Mid Atlantic Regional Conference in Gerri C. LeBow Hall. DECA is an international organization that encourages students to explore their leadership abilities and professional development through hands-on learning. DECA event participants chose to compete in one of the following competitive tracks: corporate finance, sales management, marketing management, accounting, travel and tourism, retail management, human resource management, sports and entertainment management and restaurant and food service management. Each competitive event included two parts: a written exam and a role play event. The written exam is composed of 100 questions related to the concentration of the competition. This year, Drexel DECA piloted the national organization’s new online testing system that they plan to roll out across the country. The role play event, which accounts for two-thirds of competitors’ final scores, consists of a student meeting one-on-one with a judge to present opinions on a given case study. Unlike other case study competitions, students are given just 15-60 minutes to prepare their presentation for the judge, which encourages quick thinking and creative approaches. Throughout the conference, competitors also had the opportunity to network with students from Drexel and other local universities. Members of Drexel DECA’s executive board, all LeBow students, volunteered to serve as judges for the New Jersey High School DECA State Conference. On February 13, 2016, Drexel DECA hosted their first Mid-Atlantic Collegiate DECA conference. A team of business analytics graduate students placed fifth out of over 200 teams from around the world in a new competition at the INFORMS conference in Las Vegas.